Information Technology (IT) has changed over the years as technology has changed, grown, and has become an everyday tool. How does IT work now? 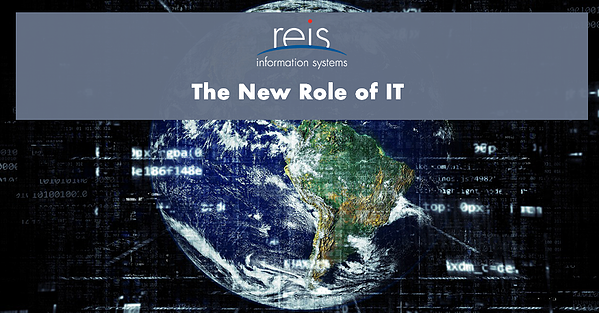 What is the role of it in present day? Keep reading to learn more. Companies around the world are modernizing. They are beginning to see the benefits to having IoT technology utilized in their operations. 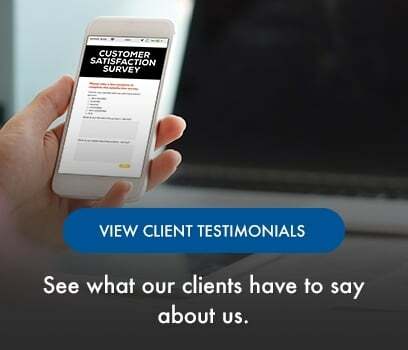 This technology can now help in a variety of ways: extend offerings, improve decision making via advanced analytics, and serve customers better - just to name a few. For what feels like many years, IoT has been promising high potential for new revenue streams for businesses. But, it's important to remember that IoT is an IT solution and often an IT department isn't involved in these types of discussions. When a company is looking to modernize their technology, IT isn't leading to the use of new technologies. We feel that it's time to start asking questions about the changing role of IT when it comes to tackling business innovation. Organizations have many choices. Now more than any other time, companies need their IT department/MSP to help them sort through the options that are out there and make the best decision of their business. Cloud solutions are very popular with companies. Approx. 40% of a company's applications that are essential to them are now provided via Software as a Cloud. In simple terms, to complete, businesses must accomplish using cloud technology to achieve transformation that is needed for modern demands in the market. Internal IT departments should become experts in Hybrid IT delivery, as well as understand what is possible with cloud services. Internal IT employees should also become a: Service Broker, Service Provider, and a Business Innovation Enabler. There are a variety of delivery models. For example: SaaS, Function as a Service (FaaS), and Platform as a Service (PaaS). This responsibility needs IT teams to always be on top of what is possible for the company and have examples to communicate their ideas. The IT team is responsible assist with providing services from any source to customers, allocating the cost of services, and providing a common portal. Also, the IT team needs to know what is possible via cloud services, and what could be moved to the cloud. Workflows in the company that would benefit from PaaS should also be explored. In addition, applications should be developed and how to make business capabilities work faster via solutions such as SaaS and big data analytics. The company's IT team must also make sure that the services that are provided through the portal that was developed meets SLAs and policies that the business has in place. One example of this is that some companies located in Canada can't use some US cloud services because of the Patriot Act. Some companies have a strict retention policy and keep records for a number of years. In this instance, not all cloud providers are able to meet requirements. The IT department also needs to become that go to individual regarding the cloud. By doing so, they'll know the good and the bad, the costs, and the limitations of the services. Businesses look for advice. IT departments need to be the ones to give this. In ideal situations, this advice would come from a specialist inside the firm. Internal IT need to develop the skill of being a business innovation enabler. This skill is the key to new wealth creation. But, in many organizations, IT isn't actively involved in this. In today's modern market, an IT team need to take care of applications, infrastructure, support, and be a business innovation enabler. In the modern technology filled world, the availability of data is increasing with open data, the ease of of access through SaaS, and the increase of IT knowledge through the next generation of the working class; people are building their own applications easily. This is through citizen integration services. A citizen integrator is a citizen developer who is focused on building integrations between existing applications. A platform example of this is Google's Serverless Compute Platform. IT teams must also ensure that people are able to integrate the applications they use, open personal data and company data with backend systems without needing their IT departments being involved. Sensors and data collection technology has been steadily increasing in public and private sector. In the 80s and 90s, this technology was limited due to production and process control systems. As you've probably guessed, IoT technology is an important part of any IT strategy in an organization. IT departments and personnel need to have the knowledge and wisdom for sensor, data aggregation, maintenance software, and big data analytics. IT also needs to make sure that the architecture and implementation services for IoT projects are provided to make sure that the company is moving forward. Company IT teams need to utilize business skills and improve the ability to connect the dots between technologies in IoT and revenue streams. One example of a company finding a new revenue stream through using IoT technology is Dejardins Ajusto's auto insurance. Surprisingly, more than half of IT projects fail. This could be due to IT projects not being aligned with business goals or projects are to solve process and people problems. IT departments need to recognize and conduct quality improvement projects before implementing IoT technology. Do you know what the average life for a company is? It's only 14.5 years. A business can fail for a variety of reasons, but the end result is usually becoming bankrupt. Below is a list of reasons why companies can fail. There are 2 major reasons why companies can fail: (1) not adapting to new business models, and (2) reluctant to utilize new technology. New technologies and new business models go hand in hand. One example of a company who embraces these is Uber. IT teams needs to help the organization foresee potential initiative that can positively affect the company and is possible technically. Some businesses simply implement a technology without thinking fully about how it'll impact their business and their business model. Overall, IT is adapting. IT individuals need to help their company understand the impact of digital decisions. We have reached the end of this article. We hope that you have been able to learn a bit more about how the IT world is changing and what your business can do to stay on top of IT trends. If you have any questions or comments, use the section below!